Heartburn is common. I personally experienced it just last week after eating dinner out. And it’s a fact that many people will eventually experience heartburn at least once in their lives. In most cases, the heartburn will not be too serious and can easily be treated, especially by avoiding certain foods that cause acid reflux. According to some research I recently came across, in the United States, acid reflux affects about 50% of Americans every year. However, I’m amazed, based on our habits and how common obesity is, that this number isn’t higher. Nevertheless, heartburn isn’t rare among Americans. But why is it so common? The main reason why those living in the U.S. and other developed nations commonly experience heartburn has to do with our consumption of food. Generally, heartburn is caused by eating too much food, so much that it overfills the stomach, or by being overweight or obese, which puts pressure on the stomach. In both instances, acid that is produced in the stomach escapes into the esophagus, causing a burning sensation and pain. What Is Acid Reflux and Heartburn? First off, while heartburn and acid reflux are similar, acid reflux can develop into a disease. If you experience acid reflux or heartburn more than twice per week, this is usually a sure sign you have acid reflux disease. Heartburn or acid reflux is a symptom that’s generally a result of a weak muscular valve located above your stomach called the lower esophageal sphincter (LES). The LES is meant to keep acid in the stomach, but open to allow gases to escape (like when you burp). If the valve isn’t functioning properly, acid escapes from the stomach and travels upwards through the esophagus. 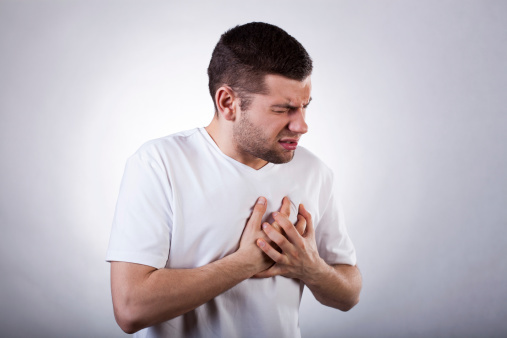 Regular overeating and carrying excess weight are two key causes of heartburn. Constipation: Constipation can cause excess pressure on the stomach, leading to a weakening of the LES and heartburn. Stress and Lack of Sleep: These factors can cause increased acid production, which can lead to heartburn. Smoking: Smoking causes weakening of the LES and stimulates stomach acid production, leading to heartburn. Certain Medications and Foods: Some medications and foods either relax the LES or stimulate stomach acid production, which, again, leads to heartburn. Obesity: Carrying excess weight around the abdomen places increased pressure on the stomach, causing regular heartburn. Pregnancy: Similar to how excess weight can place pressure on the stomach, pregnancy can cause excess pressure on the stomach, leading to heartburn. Medications: When taken regularly, muscle relaxants and blood pressure medications can cause the LES to relax, resulting in acid reflux. The obvious symptom of acid reflux disease is heartburn—a burning sensation that generally works its way up from your abdomen, into your chest, and sometimes into the throat. Two other common symptoms include regurgitation and dyspepsia. Regurgitation occurs when the acid makes its way into your throat. Often referred to as a “wet burp,” regurgitation is similar to the feeling you get before being sick to your stomach and can cause a bitter taste in the back of your mouth. Be warned: when I first discovered the foods and beverages that were causing some of my heartburn, I was very disappointed. These are common foods many Americans love; unfortunately, if you want to ensure the health of your digestive system, you’re going to have to give them up. 1. Chocolate: This may break your heart, but chocolate has been deemed the worst food when it comes to acid reflux. Because it contains caffeine and theobromine, which is a stimulant, it causes acid reflux more often than not. It doesn’t help that chocolate also contains high fats and cocoa, which increase your risk of acid reflux disease. 2. Soda: I know on a hot summer day nothing may quench your thirst more than a nice cold soda. However, the bubbles of carbonation in the soda actually expand the inside of the stomach and increase pressure, which contributes to acid reflux. 3. 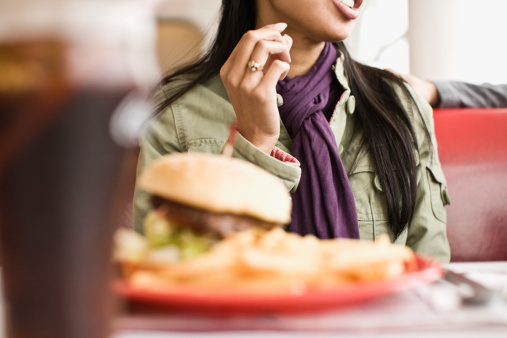 Fried Food: Next to chocolate, fried foods are some of the worst foods to consume if you experience acid reflux. The sole reason is because of the high amounts of fat that are found in them. Instead of frying foods, consider baking, broiling, or barbecuing them. 4. Alcohol: Alcohol in general is not very acidic, but it is believed to relax the esophagus. So while it won’t increase your stomach acid levels, it won’t do much to help your LES in keeping your stomach acid where it’s supposed to be. 5. High-Fat Meats: The higher the fat in a product, the longer it stays in the stomach and releases acid. Meats are already difficult to digest for a healthy stomach; for someone who regularly experiences heartburn, high-fat meats are definitely your enemy. 6. High-Fat Dairy Products: As mentioned, any food that is high in fat will cause acid reflux and high-fat dairy products are no exception. If you use butter for flavor, consider cutting back or replacing it with olive oil when possible. Alternatively, purchase low-fat or no-fat dairy products. If you still experience acid reflux after making these changes, you may want to consider cutting out dairy. When I was younger, I always wondered what could be done to prevent heartburn or acid reflux. I kept up with my diet, always exercised, never ate too fast, yet there were times when I still experienced heartburn. Fortunately, I came across some natural remedies that seemed to do the trick—and still do to this day! 1. Unfiltered Apple Cider Vinegar: It may seem contradictory, but having too little acid in the stomach can also cause acid reflux. If this is the case for you, consuming just one tablespoon of apple cider vinegar mixed in a large glass of water may be all you need to say goodbye to acid reflux. 2. 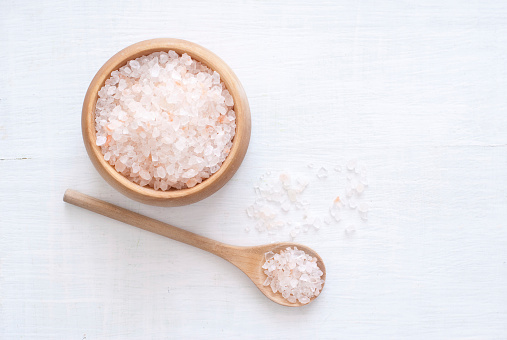 Himalayan Sea Salt: Again, if your stomach needs some help boosting its hydrochloric (stomach) acid levels, a high-quality sea salt like Himalayan sea salt is effective in providing the chloride your body needs to make stomach acid. Sauerkraut can also do the trick. 3. Baking Soda: One of the most effective ways to cure acid reflux is to neutralize the stomach acid. You can do just that by consuming one tablespoon of baking soda in an eight-ounce glass of water. 4. Aloe Juice: Acid reflux and heartburn naturally causes inflammation in the chest and throat. By consuming aloe juice, derived from the aloe vera plant, it will act as an anti-inflammatory and reduce the inflammation, easing the pain of acid reflux. 5. Slippery Elm: This may be a new food to some (it was to me at the time), but the benefits it has in treating acid reflux are worth the try. Slippery soothes the mouth, throat, stomach, and intestines, and the antioxidants it contains will reduce inflammation. 6. Betaine: Betaine helps your body digest your food quicker and more efficiently, while also helping to kill unwanted bacteria that may cause acid reflux. Betaine can cause a small burning sensation; if it does, reduce your dosage. You can find this supplement at your nearest drug or health foods store. 7. Glutamine: The damage to the intestines caused by acid reflux can be fixed with glutamine. Research that was published in 2009 found that gastrointestinal damage that is caused by pylori, an unwanted bacteria, can quickly be addressed by the consumption of glutamine. Food is an important aspect of life—but it can also be the reason for your discomfort and poor health. Knowing what foods to avoid and the natural remedies available to you to treat your acid reflux should soon have you wondering what you’re going to do after eating your next meal, rather than wondering when the acid reflux is going to surface. “7 Foods that Can Cause Acid Reflex,” Health web site; http://www.health.com/health/gallery/0,,20443643,00.html, last accessed June 24, 2015. Magee, E., “Heartburn: Foods to Avoid,” WebMD web site, August 4, 2008; http://www.webmd.com/heartburn-gerd/features/heartburn-foods-to-avoid. Mercola, J., “15 Natural Remedies for the Treatment of Acid Reflux and Ulcers,” Mercola web site, April 28, 2014; http://articles.mercola.com/sites/articles/archive/2014/04/28/acid-reflux-ulcer-treatment.aspx. “Acid Reflux Symptoms: Heartburn, Regurgitation, Dyspepsia and More,” WebMD web site; http://www.webmd.com/heartburn-gerd/guide/acid-reflux-symptoms, last accessed June 26, 2015.